Athletes run a 50-70% chance of injury with intensive training loads, but proper load monitoring prevents unnecessary injuries below 5%. 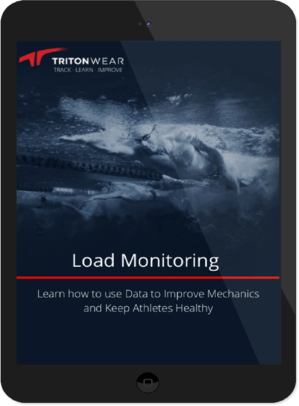 Download the FREE Guide to Load Monitoring today! By monitoring training programs according to the “dosage” of exercise the athlete actually sustained, coaches can ensure the athlete is not over-training or under-training. This is critical for optimal performance gain. The best representation of actual load = load measured at rep level. Measuring volume & intensity w/ total swim time and session RPE provides the total session training load. Tracking load over time allows for thresholding via Acute to Chronic Workload Ratio (ACWR). Research shows, athletes who maintain an ACWR between 80%-150% will keep their likelihood of injury below 5%. Tech grounded in simplicity & ease of use. 3. Receive fully automated load monitoring, flagging if or when an athlete is at risk of over or under training.